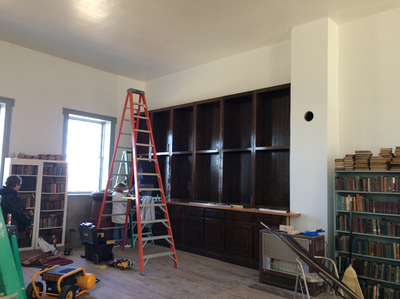 The final half of bookshelves are being built and installed this winter (2017) by Dale Shumaker. 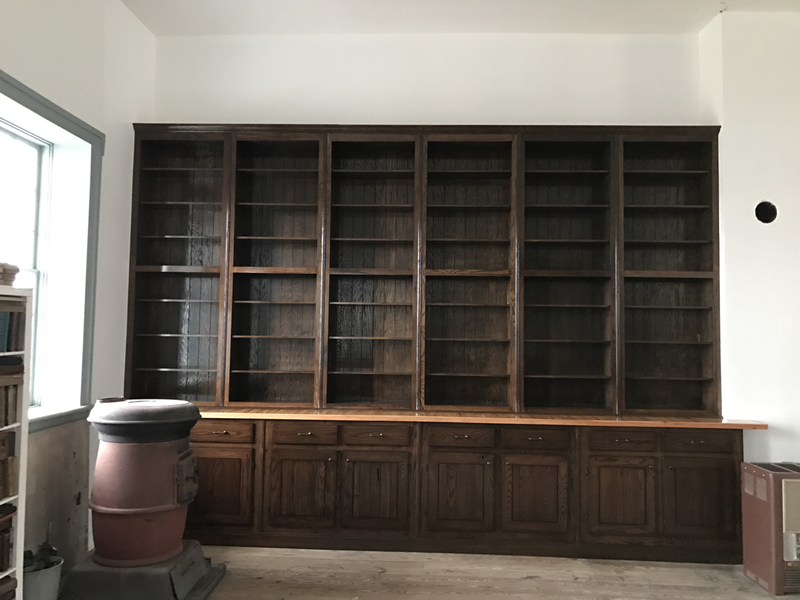 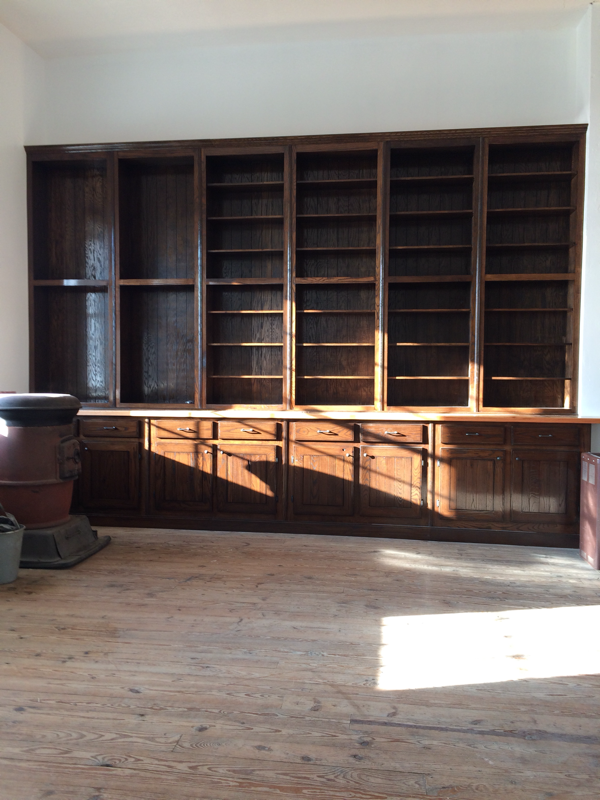 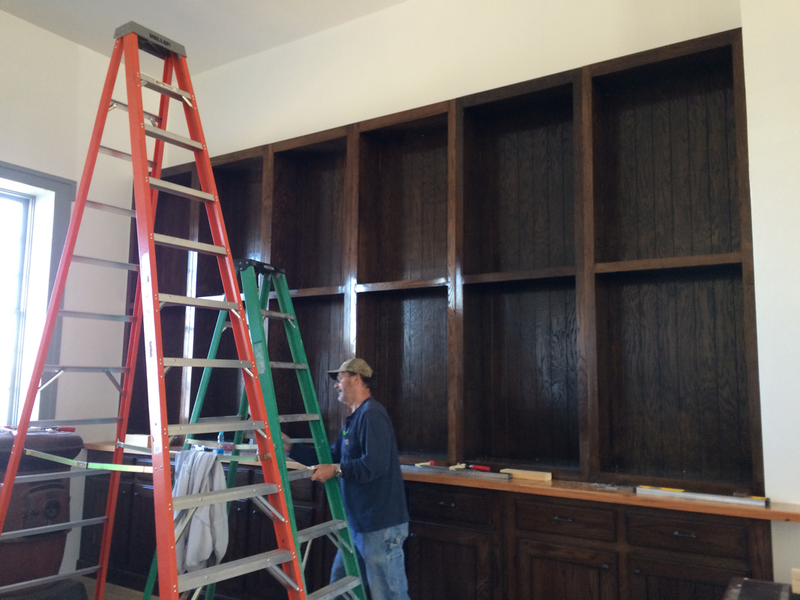 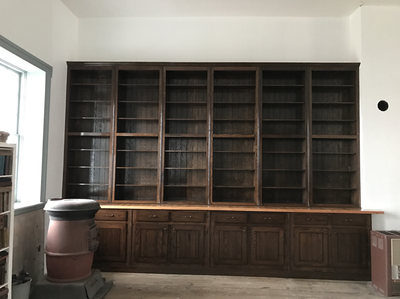 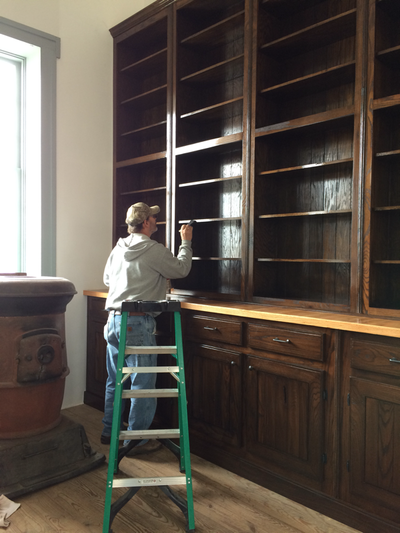 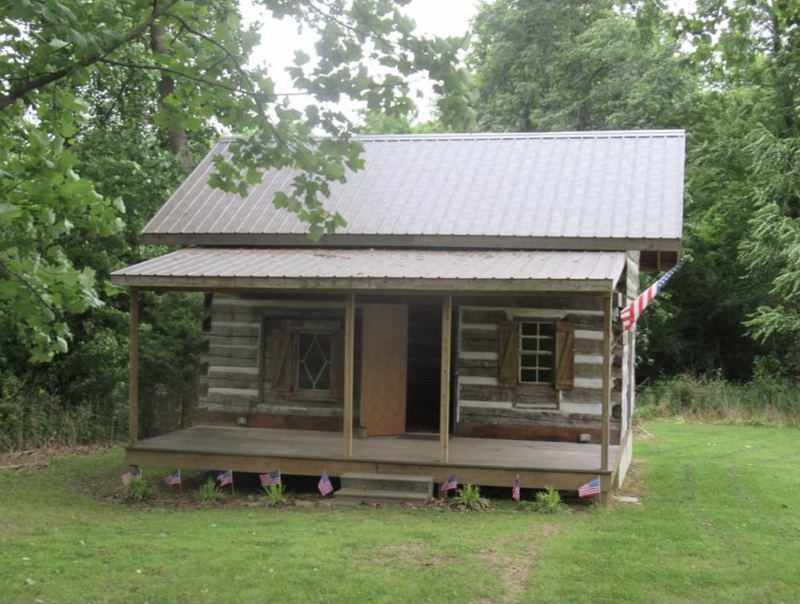 New cabinets and bookshelves were completed by Dale Shumaker in March 2017. We are currently raising funds to have matching shelves built on the other side of that same wall. 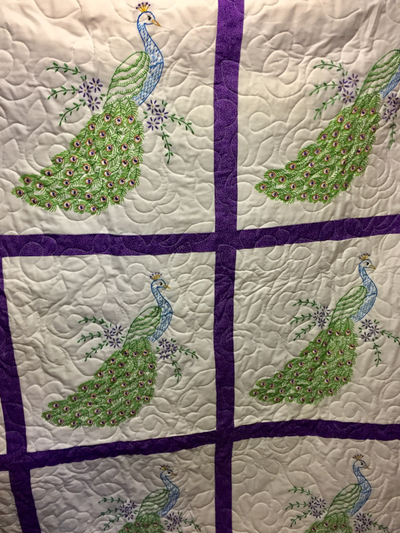 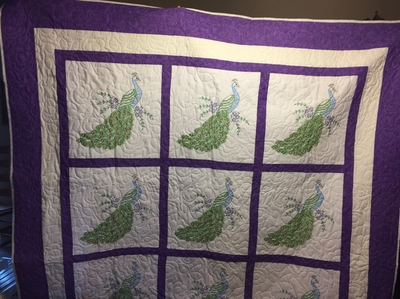 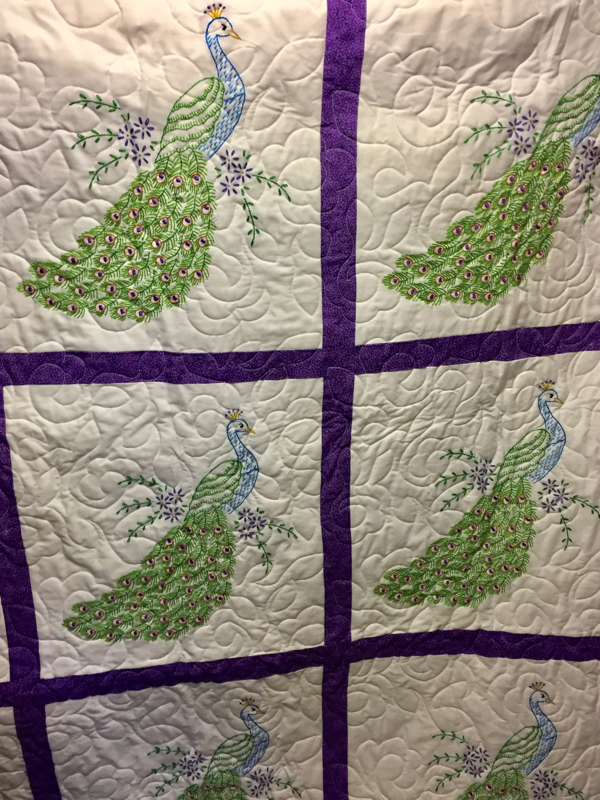 This quilt will be raffled off on May 28th at 2 PM during the 2017 Memorial Day weekend event at the Courthouse. 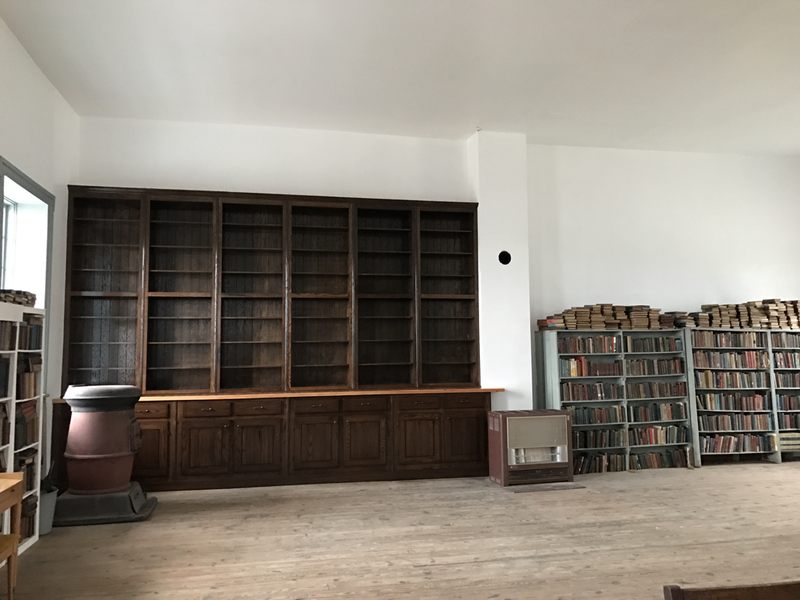 Tickets are $2 each or 6 for $10 and will be available that weekend or anytime before then for a Thebes Historical Society member. 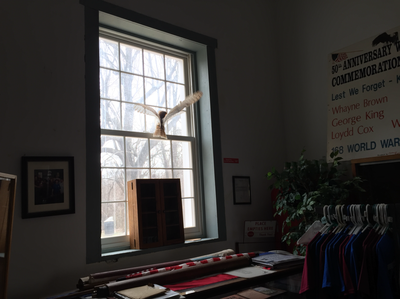 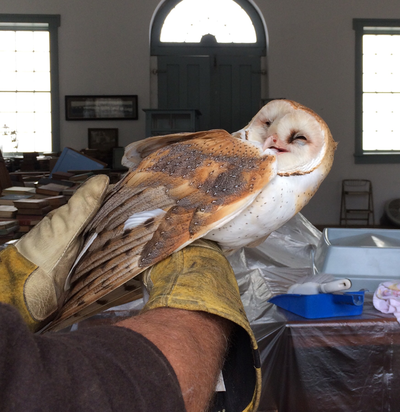 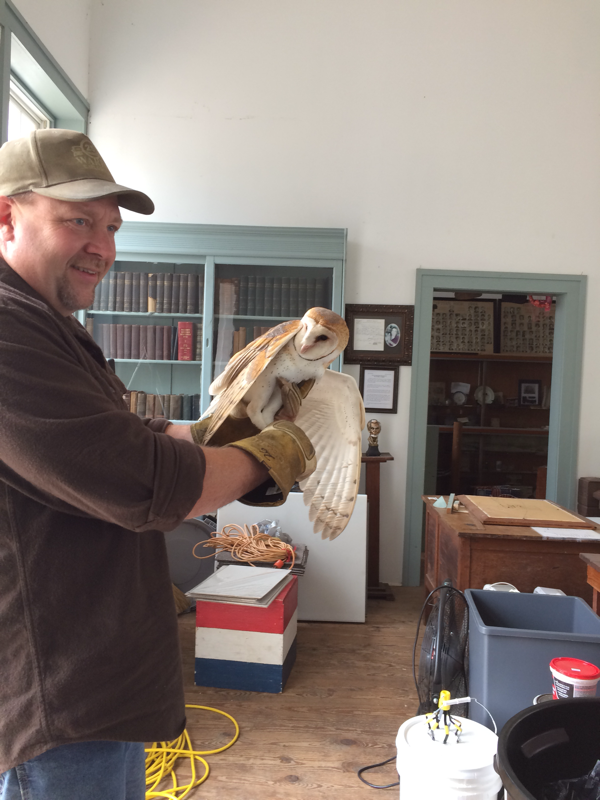 This beautiful barn owl was found inside the courthouse while Dale Shumaker & his wife Linda were installing the cabinets. 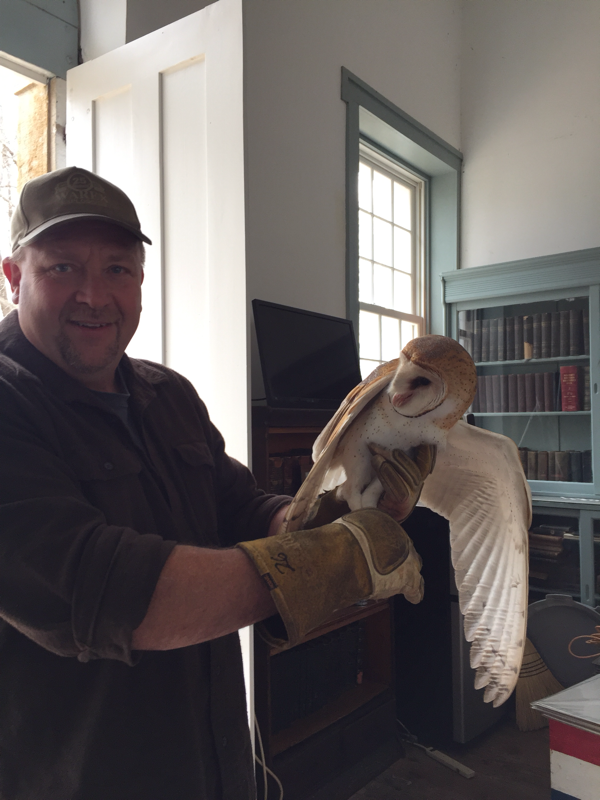 Mark Guetersloh of Fish & Wildlife helped capture and then safely release it.